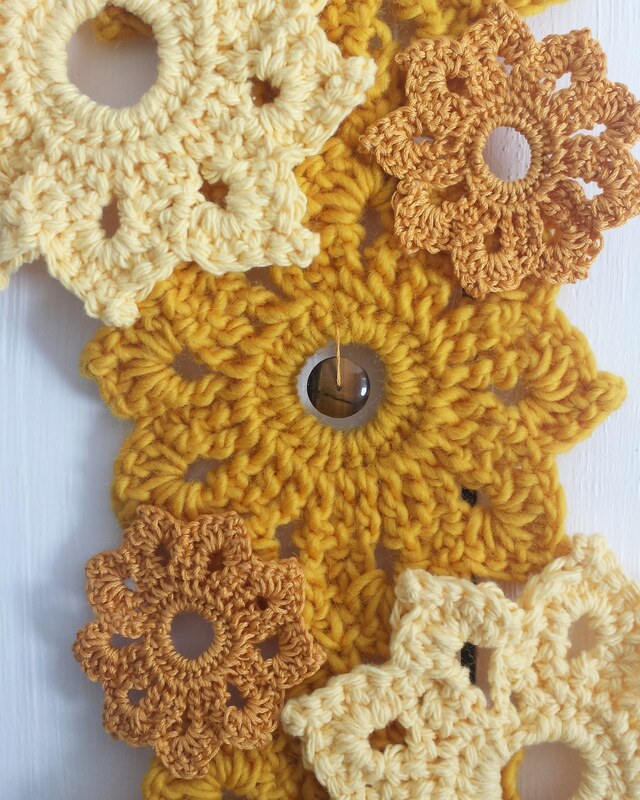 I crocheted the three large mustard flowers with wool yarn, the two lighter flowers with cotton, and the tiny two golden flowers with some old embroidery floss I inherited from my mother many years ago. I insisted on having three different types of flowers to represent the third chakra. As a final touch, I placed a tiger’s eye bead in the very center. This crystal is often associated with the third chakra and the color fit perfectly. 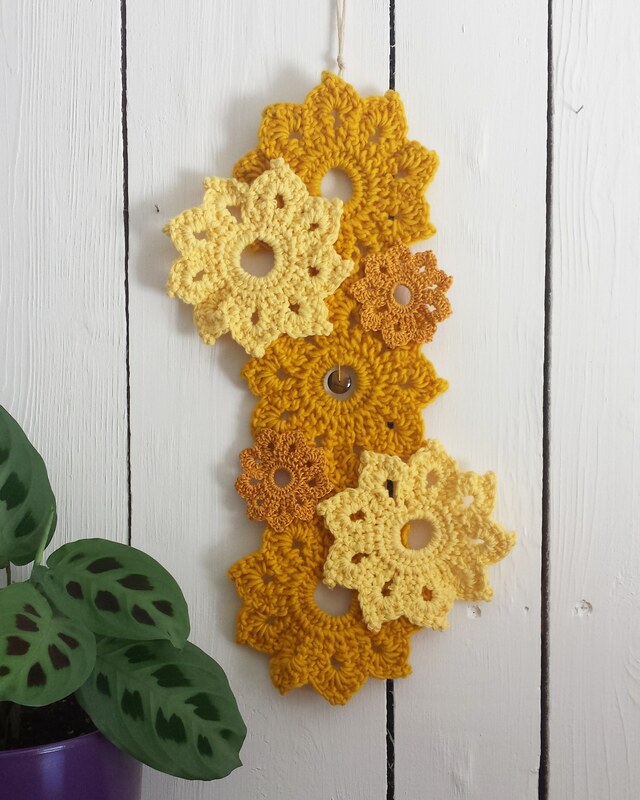 Honestly, I didn’t really like this wall hanging right after I made it. Something about it rubbed me wrong. But as it hung on my wall for a few days and it was daily in sight, it slowly began to grow on me and I came to really admire the work that went into it and feel the richness of the color. I think in a lot of ways my reaction to this piece reflects my journey in healing my third chakra. I have found it uncomfortable to truly stand in my own power and assert my will. At first I feel squirmy and uncertain, but after pushing through the discomfort of being more assertive, I gain more confidence in myself and my abilities. This wall hanging is available to purchase- please email me at thegracefulbirch@gmail.com if interested.